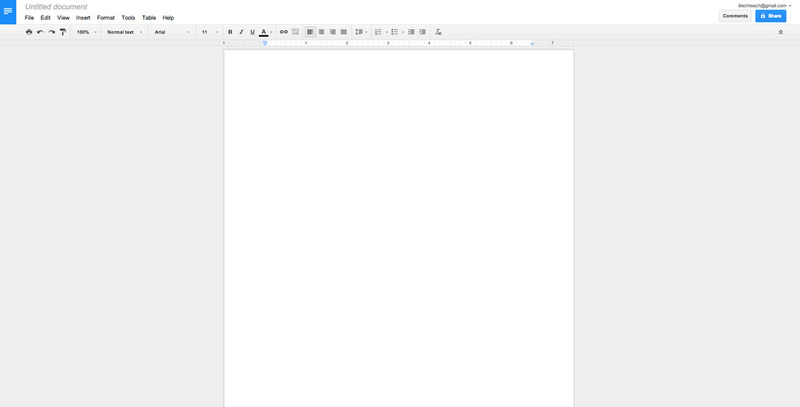 Google Documents is a basic word processor. It allows users to create and mange word files from any internet browser. Once signed into your Google account you can access Documents via Drive. Once you have logged into your Google Drive account you will see a new button in the top left hand corner. If you click on the 'NEW' button you will be given a choice of creating a few different types of files. The forth option will be Docs. Once you click on the Docs button a new tab will be created with your new Google Doc. Once your new tab has opened you will see 'Untitled document' in the opt left hand corner. Click on this and you will be prompted to give your Doc a new title. Don't forget you never need to remember to save your Document Google saves your work automatically!